Exciting times are ahead! Over the next two decades, we have to create a true civilization jump: inventing new ways of life and business that are fun and at the same time can be experienced by all people on earth, without jeopardizing our livelihoods. What a challenge – and what an opportunity to set the course for the global society of the future! Digitalization, Global Justice, Climate Policy, Sustainable Economics, and World Trade & Agriculture. Enjoy reading and thinking ahead, and don’t forget: Another world is possible – let’s make it together! Since the very beginning of modern growth-critique, the mainstream response to this critique has always been: “Well, we can grow the limits by making things ever more efficient”. Now, with the shiny user interface of the ongoing digital revolution, the holy grail of the efficiency revolution gets yet another new finish: By digitalizing almost every aspect of production and consumption we can increase our efficiency even more. However, in reality digitalization generates highly ambivalent effects on energy and resource consumption. Therefore, it needs a to be clearly embedded into social and environmental goals. 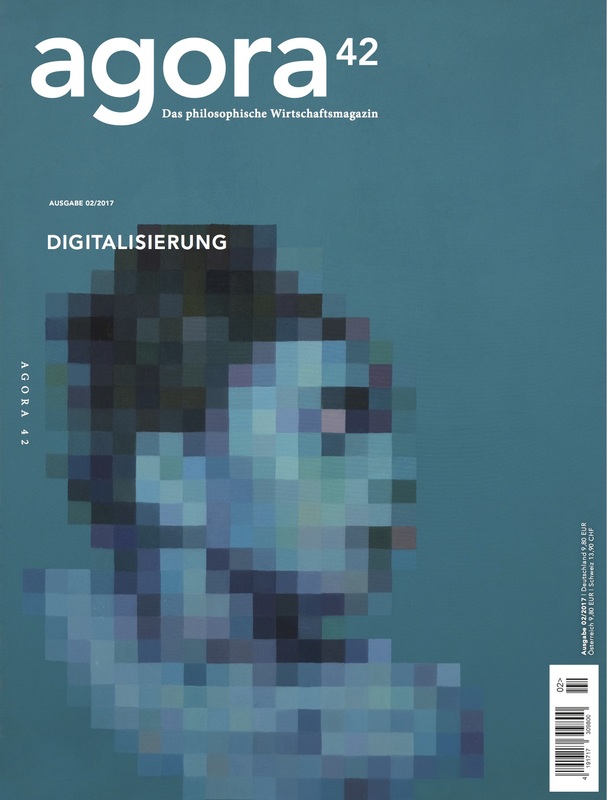 See here the blog post by Tilman Santarius on degrwoth.de. Rethinking Climate and Energy Policies. 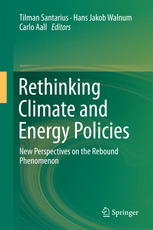 This volume, edited by Tilman Santarius, Hans Jakob Walnum and Carlo Aall, suggests rethinking current climate, energy and sustainability policy-making by presenting new insights into the rebound phenomenon. It offers new aspects in rebound economics, but then explores multidisciplinary perspectives on the phenomenon. The volume puts rebounds into praxis and presents several policy cases and sector-specific approaches, including labour markets, urban planning, tourism, information and communication technologies, and transport. It finally embeds the issue into the larger debate on decoupling, green growth and degrowth, and sketches out lessons learned for sustainable development strategies and policies at large. 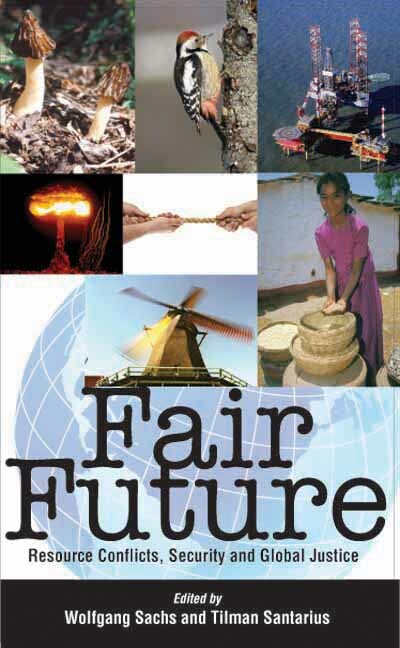 Fair Future. Limited Resources and Global Justice. Oil crisis, water conflicts, declining food security – we hear one report after another about resource scarcity – while with growing populations and huge poverty, nations are demanding their right to development. Clashes over resources, both major and minor, are often the unseen factor behind chaos and violence and it is vital to start thinking about how the distribution of resources can be made more just. This book, written by specialists from the internationally renowned Wuppertal Institute headed by Wolfgang Sachs and Tilman Santarius, puts forwards perspectives for resource justice and outlines a global economic and environmental policy equally committed to nature and to humanity. Increasing energy efficiency in households, transportation, industries, and services is an important strategy to reduce energy service demand to levels that allow the steep reduction of greenhouse gases. Yet, technological efficiency improvements may generate so-called rebound effects, which may ‘eat up’ parts of the technical savings potential. This chapter in the “Physics for Sustainable Energy II conference proceedings” provides a comprehensive review of existing research on these effects, raises critiques, and points out open questions. As a rough “rule of thumb”, about half the savings potential of energy efficiency improvements may be ‚eaten up’ by rebound effects. Can we conceive an economy, and respective economic institutions, that serve human needs and wealth without a built-in necessity to grow? This question has been addressed by a symposium in honor of Wolfgang Sachs. 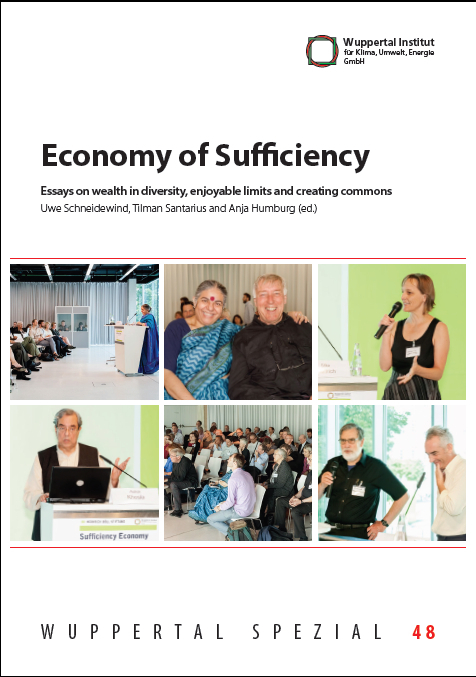 Uwe Schneidewind, Tilman Santarius and Anja Humbug edit the main contributions to this symposium in the reader Economy of Sufficiency – Essays on wealth in diversity, enjoyable limits, and creating commons. 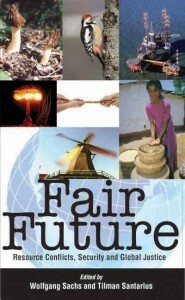 The essays by Ashok Khosla, Marianne Gronemeyer, Vandana Shiva, Richard Norgaard, Tim Jackson, Ezio Manzini and Silke Helfrich indicate the historical development of the ideas on a sufficiency economy and display an intellectual ‘tour de raison’ through discourses of sustainable development of the past several decades. Since the 1980s, policies concerning food security have been increasingly trade-oriented. Yet for bulk of rural economies in developing countries, particularly for small farmers, this strategy did not deliver. 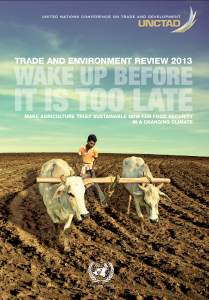 This article by Christine Chemnitz and Tilman Santarius in the UNCTAD Trade and Environment Review outlines how the current pattern of agricultural trade and production can be modified in order to stop the vicious circle of increased trade-orientation exacerbating climate change, and increased climate change endangering small farmers’ food security. It then presents policies for a regionalization of agricultural trade flows and the integration of smallholders in local and regional markets. Slow Trade – Sound Farming. A Multilateral Framework for Sustainable Markets in Agriculture. Together with ten internationally renowned experts, Wolfgang Sachs and Tilman Santarius outline an alternative to agricultural trade policies of the World Trade Organization. The report points to new perspectives and policies needed for the agricultural trading system that provide the poor with real opportunities, protect the environment and support the transition of agriculture into a post-fossil age. 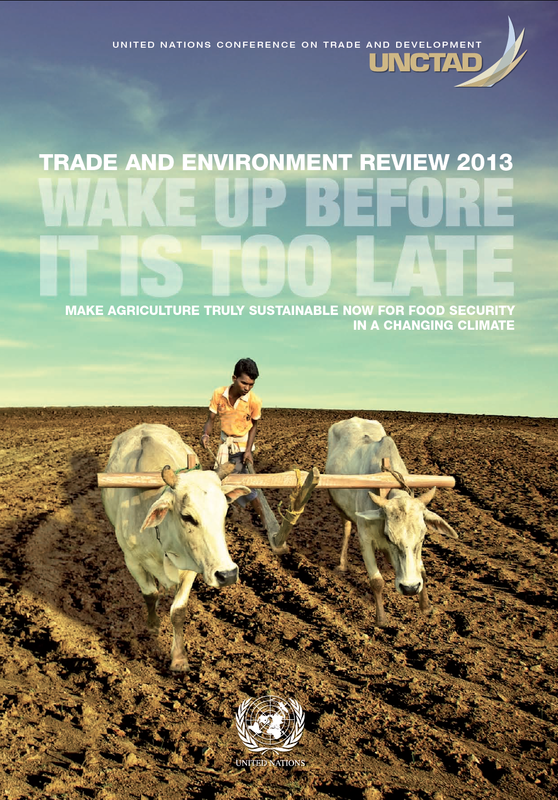 Here is the original version of the report Slow Trade – Sound Farming in English von Slow Trade – Sound Farming, which has also been published in German, French, Spanish, Arab, Czech, Polish, Portuguese, Indonesian, and Italian.